Irish-Medium Education in Northern Ireland began with the setting up of an independent primary school in Belfast in 1971. The Irish-medium sector has grown from an initial intake of nine in 1971 to over 4000 for the school year 2006–7. When Northern Ireland was founded in 1921 the new Unionist Government was hostile to the use of the language in the education system. During the 1920s and 1930s it placed restrictions on the teaching of Irish in primary schools and refused to support the training of teachers. In 1949 it banned the use of street names in Irish, a ban which has only recently been rescinded. 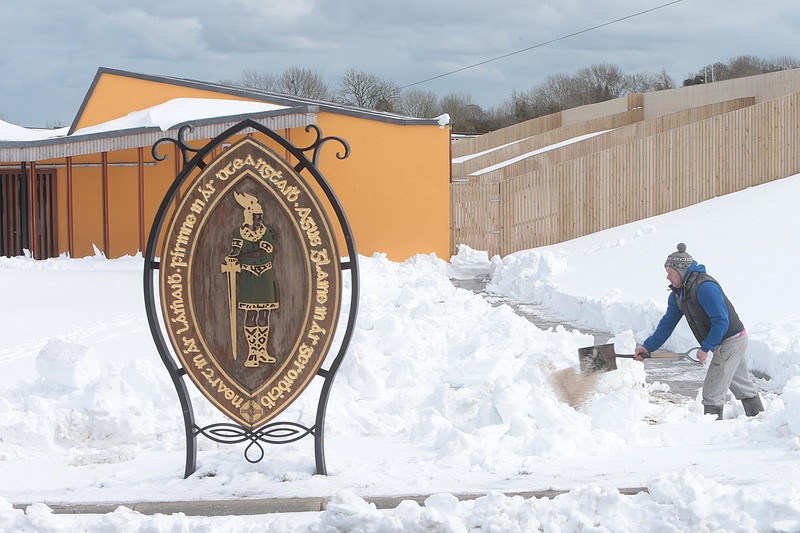 Despite the lack of Government support, material or otherwise, the language community continued to organise adult language classes, summer schemes for school children and summer courses for learners in the Gaeltacht areas of Donegal. However while these classes and courses maintained the language among a small number of linguists and enthusiasts they could not and did not succeed in reversing the decline of the language. In short there was no viable way that large numbers of people could learn the language and thus no opportunity could ever arise that Irish could once again regain its place as a community language in everyday use. When the first Irish-medium school which opened in 1971 the potential for the revival of Irish language communities took a huge step forward. This school served a small community of Irish speakers in the neo-Gaeltacht (Irish speaking quarter) of west Belfast. The school did not receive Government funding and was independent of both educational and church authorities. It had a difficult and fraught relationship with the Department of Education in its early years and was threatened with both closure and legal action by the Department. 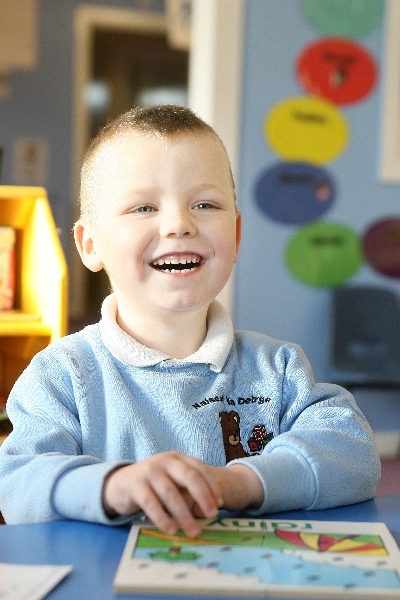 The school accepted only children from Irish-speaking families at first. Later the intake was to include children from non-Irish speaking families and the school adopted a programme of immersion education. The school is now in receipt of Government funding and its enrolment stands at over 300 children. The running of the school, Bunscoil Phobal Feirste, proved a great financial burden to parents and community alike, and required continual and active voluntary effort. Few suitable textbooks were available in Irish and teachers, parents and other committed members of the community undertook the task of translating texts for the schoolchildren. Commitment and enthusiasm were a prerequisite for staff. Salaries were low and staff worked long hours preparing materials and organising out-of-school activities. In 1983 an Irish-medium unit was set up in a Catholic primary school in Derry. The unit, which operated under the management of an established English-medium school, was recognised and funded by the Department of Education from its inception. The enrolment at the stream in Derry grew steadily over the next ten years, and it developed into a free-standing Catholic maintained school. Bunscoil Phobal Feirste was funded by the Department from the end of 1984. Between 1984 and 2007, the Department of Education grant-aided a further 31 schools to provide Irish-Medium Education. 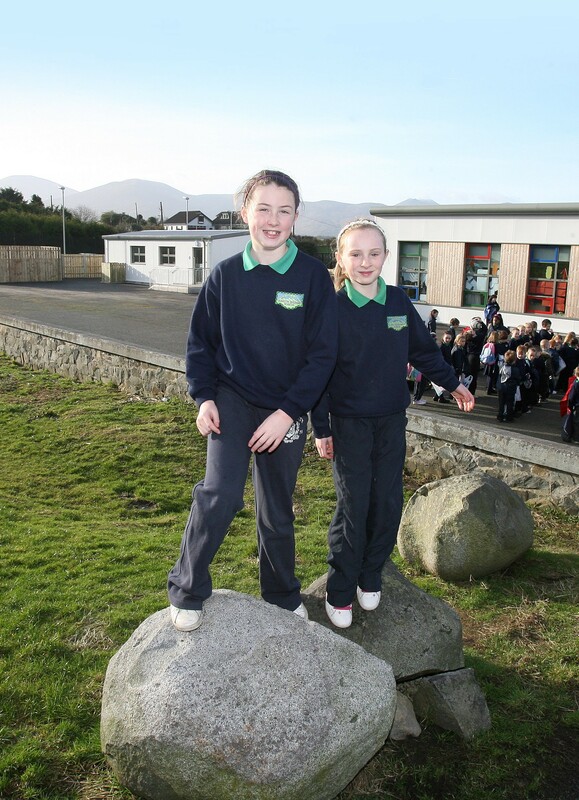 At present 33 schools offer primary Irish-medium provision. 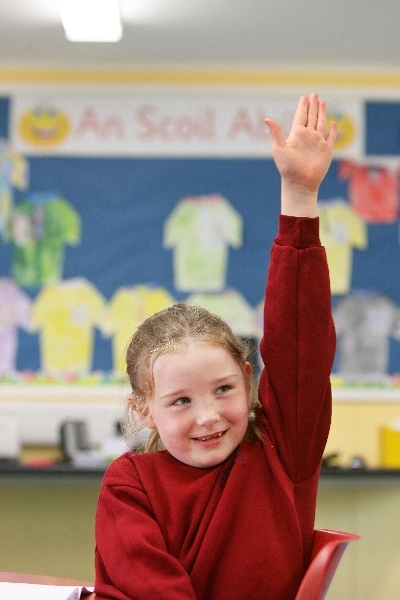 There is a free-standing post-primary school in Belfast and an Irish-medium post-primary units in Derry and Armagh. Le bunú na chéad scoile neamhspleáiche i mBéal Feirste i 1971, a cuireadh ceann ar an Ghaeloideachas i dTuaisceart na hÉireann. D’fhás earnáil mheán na Gaeilge ón chéad iontógáil naonúir i 1971 go breis agus 4000 don scoilbhliain 2006–7. Nuair a cuireadh suas Tuaisceart na hÉireann i 1921 bhí doicheall sa rialtas Aontachtach nua roimh úsáid na Gaeilge sa chóras oideachais. Le linn na 1920idí agus na 1930aidí leag sé srianta ar theagasc na Gaeilge i mbunscoileanna agus dhiúltaigh sé tacú le hoiliúint mhúinteoirí. I 1949 choisc sé úsáid sráidainmneacha Gaeilge, cosc nár cealaíodh ach le déanaí. Ainneoin easpa thacaíocht rialtais, ábhartha nó eile, lean pobal na teanga d’eagrú ranganna Gaeilge d’aosaigh, scéimeanna samhraidh do pháistí scoile agus chúrsaí samhraidh d’fhoghlaimeoirí i gceantair Ghaeltachta Thír Chonaill. Ach ainneoin gur choinnigh na ranganna agus na cúrsaí an teanga beo ní thiocfadh leo agus níor éirigh leo cúl a chur ar mheath na teanga. I mbeagán focal, ní raibh aon dóigh inmharthana ann a dtiocfadh le líon mór daoine an teanga a fhoghlaim agus mar sin, níorbh fhéidir go n-éireodh deis choíche go mbainfeadh an Ghaelge a háit amach athuair mar theanga pobail á labhairt gach uile lá. Nuair a osclaíodh an chéad Ghaelscoil i 1971 thug acmhainneacht athbheochana na bpobal Gaeilge céim ollmhór chun tosaigh. Rinne an scoil seo freastal ar phobal beag Gaeilgeoirí i nua-Ghaeltacht iarthar Bhéal Feirste. Ní bhfuair an scoil maoiniú Rialtais agus bhí sí neamhspleách ar údarais oideachais agus eaglaise araon. Bhí caidreamh crua imníoch aici leis an Roinn Oideachais agus bhagair an Roinn an scoil a dhruidim agus caingean dlí. Ní bhíodh ag freastal ar an scoil ar dtús ach páistí ó theaghlaigh Ghaeilge. Níos moille anonn cuimsíodh páistí ó theaghlaigh gan Ghaeilge san iontógáil agus ghabh an scoil chuici féin clár tumoideachais. Tá an scoil anois ag fáil mhaoiniú rialtais agus tá breis agus 300 páiste ar an rolla. B’ualach mór airgeadais reáchtáil na scoile, Bunscoil Phobal Feirste, ar thuismitheoirí agus phobal araon, agus d’éiligh sí iarracht dheonach a bhí leanúnach gníomhach. Ba bheag téacsléabhar a bhí ar fáil i nGaeilge agus thug múinteoirí, tuismitheoirí agus baill eile den phobal faoi aistriú téacsanna do pháistí na scoile. Tiomantas agus díograis ba bhunriachtanas san fhoireann. Bhí an tuarastal íseal agus chaith an fhoireann uaireanta fada oibre ag ullmhú ábhar agus ag eagrú gníomhaíochtaí taobh amuigh den scoil. I 1983 cuireadh suas aonad meán Gaeilge i scoil Chaitliceach i nDoire. Fuair an t-aonad, a d’oibrigh faoi bhainistíocht scoile Béarla a bhí ann cheana, aitheantas láithreach ón Roinn Oideachais. D’fhás rollú sa sruth i nDoire go buan le deich mbliana nó go ndearnadh scoil neamhspleách Chaitlceach faoi chothabháil de. Fuair Bunscoil Phobal Feirste maoiniú ón Roinn ó dheireadh 1984. Idir 1984 and 2007, thug an Roinn Oideachais deontas i gcabhair do 31 scoil eile le Gaeloideachas a sholáthar. Faoi láthair, tá 33 scoil ag tairiscint Gaeloideachais. Tá iar-bhunscoil neamhspleách i mBéal Feirste agus aonaid iar-bhunscolaíochta Gaeilge i nDoire agus in Ard Mhacha.